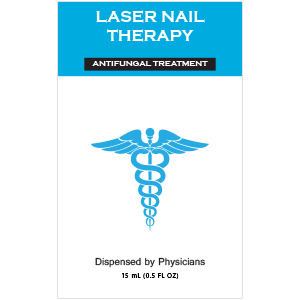 Laser Nail Therapy Antifungal Solution acts as a barrier against fungus and helps to prevent re-infection of the nail after treatment. This solution also prevents the reoccurrence of most athlete’s foot and ringworm with daily use, and relieves itching, burning, cracking, redness, and irritation. Easy to apply, transparent and unscented. Our unique oil based formula sticks to the nail, therefore providing hours of treatment and protection with each application.